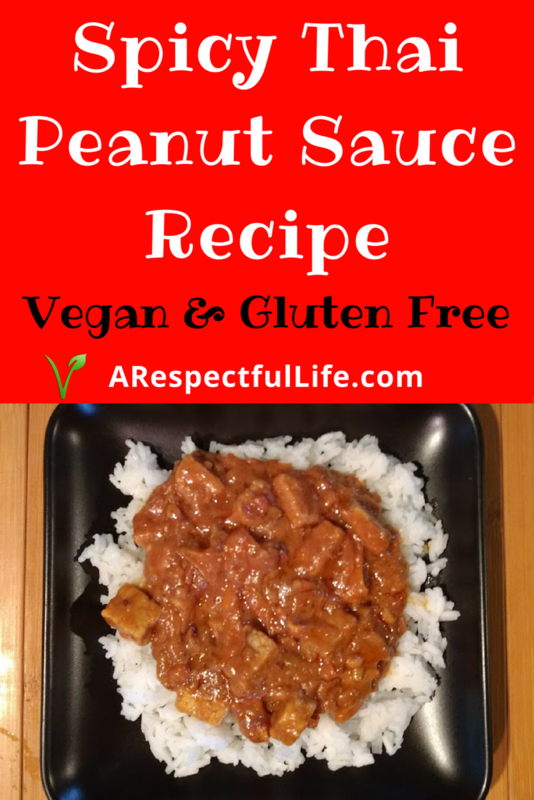 If you are like me and LOVE peanut butter and spicy food, this is a very easy recipe! 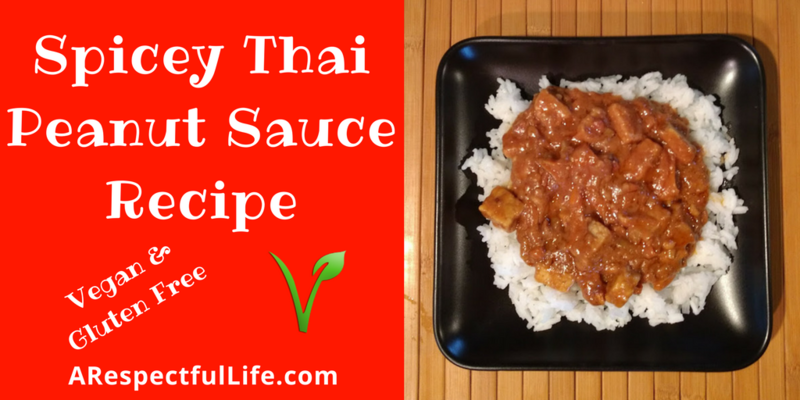 You can add tofu, Tempeh, and/or carrots to make a very rich and filling sauce to put on top of rice. 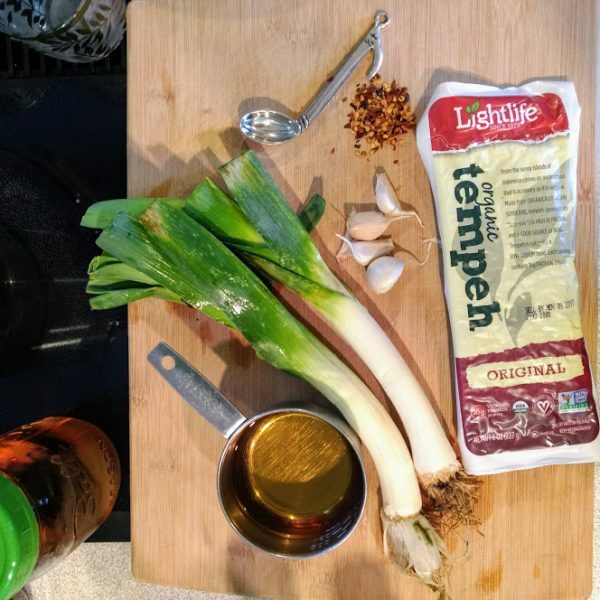 Finely dice your leek or onion and garlic. Saute in good quality non-stick pan. Can be done with oil, or steamed with water. You just need to soften the garlic and onion. 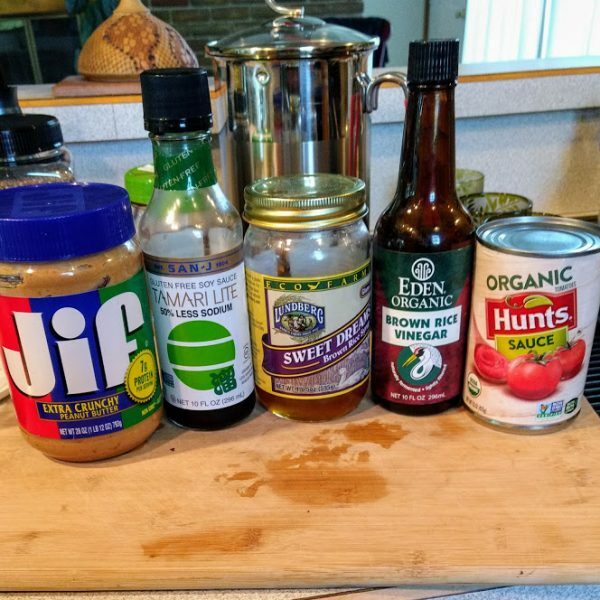 Add all ingredients except for tofu / tempeh. Simmer for 10 minutes. 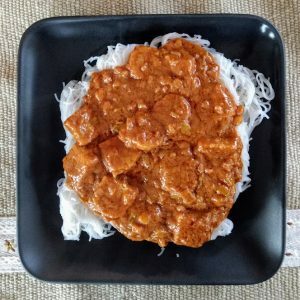 Once sauce thickens, add your tofu or Tempeh. Cook 5 minutes or until hot. 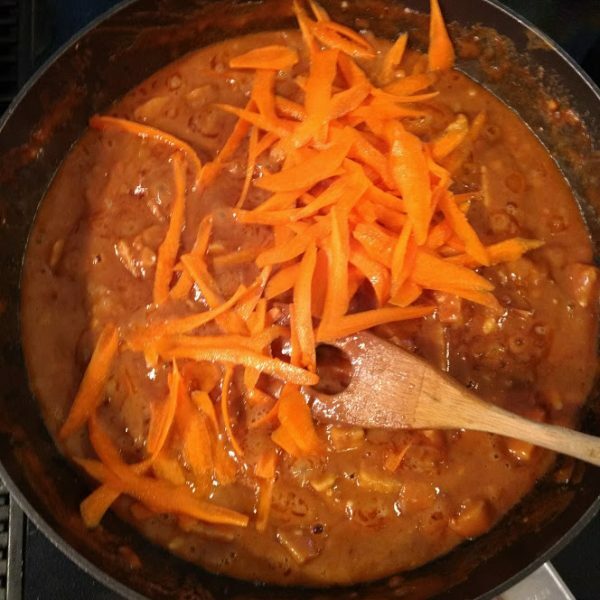 If I am adding carrot, I will also add them at this point and they only take about 5 minutes to soften and heat. I use a carrot peeler to peel the carrot into slices. If my sauce gets too thick, I will add a little more vegetable broth. 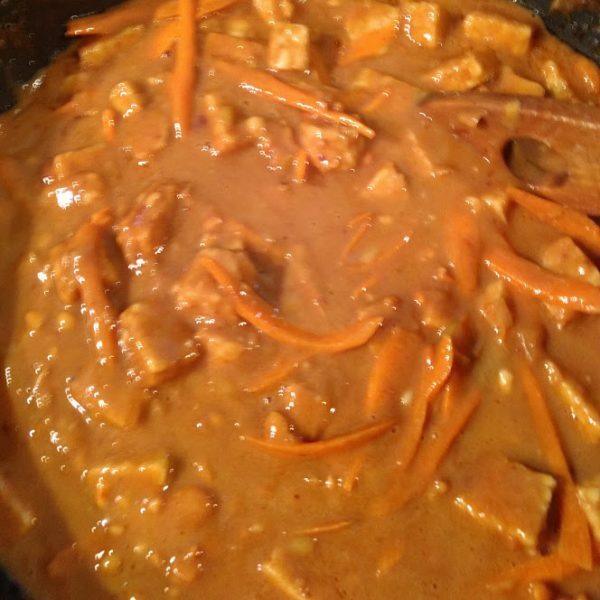 Once thickened, spoon it over rice, rice noodles, pea pods, etc. I usually double this recipe so I have left overs! Glad you like it Karen! Subscribe for updates.